You’re pumped to share your knowledge with the world and earn passive income while doing it. ...but you're not excited about everything else. You dread having to cobble together a membership site, video host, payment plugin, and email integration. Even when you manage to figure it all out, the finished product falls painfully short of what you imagined. One tool could change everything. You don’t need a website developer on retainer, a fancy recording studio, or a massive email list to create and profit from your own online course. All you need is an idea...and one simple tool. With our easy-to-use online course creation platform, you can create courses without ever having to worry about tech, hosting, design, or marketing integrations. It’s so easy that over 22,000 instructors have made over $100m in course sales in just two years by using Teachable. We never limit on usage. You can host as many courses and students as you want, with no extra charges. Oh, and it comes with unlimted video and hosting as well. Your website is fully responsive to give your students a consistent and captivating learning experience across desktops, tablets, and smartphones. 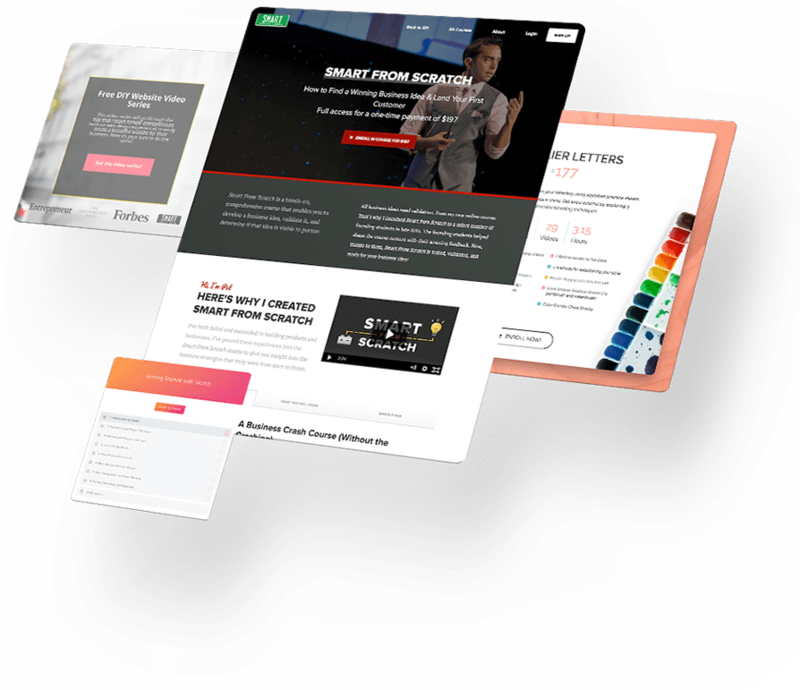 Our conversion-optimized landing pages, affiliate program, and infinite marketing integrations make it easy to market and sell your online course. Enhance your students’ learning experience and build an engaged community using the native comments, quizzes and drip content features. From hosting on custom domains to extensive analytics tracking student engagement, Teachable is the must-have product for any online course creator. Teachable gives you the platform and knowledge you need to succeed. 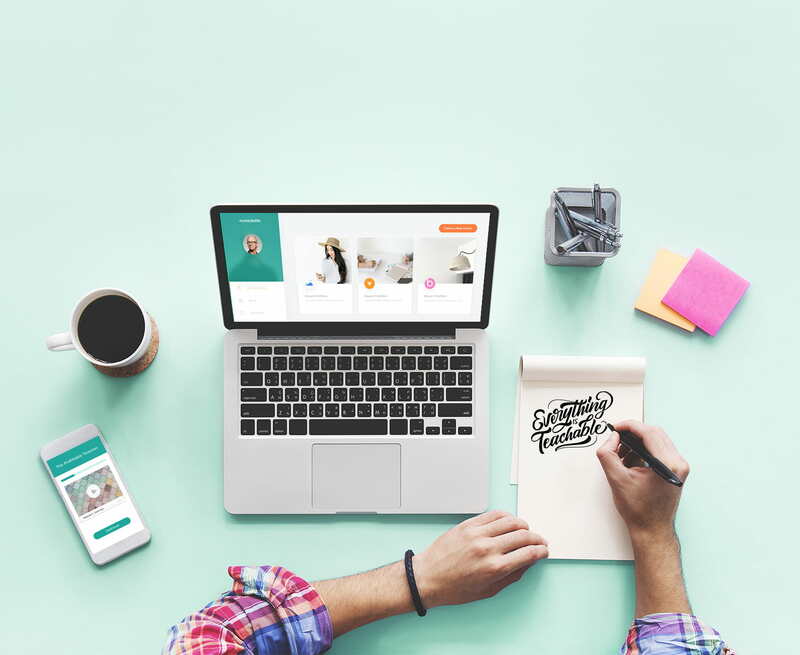 Teachable is an online platform that allows anyone to create and sell online courses. No tech experience required. Customers unlock access to Teachable U, our training program for course creators. We’ll help you choose the right topic, create your course, and launch like a pro. Which plan do you recommend? The most popular plan is our Professional plan. However, we also offer a free plan so you can try out Teachable and see if it’s a good fit for you. What happens if I want to cancel my plan? We'll be sad to see you go, but you can cancel your Teachable plan at any time. We don't lock you into any lengthy contract. Moreover, since you own all school data as well as the domain name (if using a custom one), you can download your course, student, and revenue information so you can build your own website or use another service. On our Basic plan and above, you can use your own domain name (example.com). Additionally, every Teachable plan comes with a completely free yourschool.teachable.com domain name that you’re welcome to use. With Teachable, there are absolutely no setup fees. You can launch your school for free! How do transaction fees work? Every time a user purchases a course, course bundle, or subscription, we collect a transaction fee according to your pricing plan. Higher-priced plans have lower transaction fees. For any plan using a Teachable payment gateway, we charge a standard payment processing fee of 2.9% + $0.30 on paid courses for US transactions. If you accept international transactions, there is an additional processing fee of 1% for credit and debit cards, and 1.5% for PayPal. If you're using any custom payment gateway (available on Professional and above) or Teachable Payments, payouts will be distributed daily or based on your selected payout cadence, within an initial two day trailing lag. When using the Monthly Payment gateway, you'll be paid out at the beginning of each month for purchases made at least 30 days ago. For example, if one student pays you on March 5, and another pays you on March 25, you’ll receive both students’ payments at the beginning of May. This system allows us enough time to honor our 30-day refund policy. Can Teachable be used for enterprise applications like internal training? Absolutely! Some of our biggest clients use Teachable for internal training. Our Business and Enterprise plans allow you to import your employees for private training. Can I offer free courses with Teachable? Absolutely! And when you create a free course, we do not charge any fees on enrollments. Is there a limit to how much content I can upload? Every Teachable plan includes unlimited video and course content bandwidth. Upload as many courses, videos, PDFs, etc. as you like. Do I need a payment processor? Teachable handles the payment processing for you, so you don’t need a separate processor. We accept credit card, debit card, and PayPal. What happens if I cannot set up direct payouts via Teachable Payments, Stripe Connect or PayPal? If you cannot set up Teachable Payments or custom payment gateways (available on Professional plan or above), Teachable can collect funds for you and pay you on our regular payment schedule. Who pays my affiliates and authors out? If you have custom payment gateway(s) enabled or BackOffice disabled, you are responsible for paying authors and affiliates out. If you use BackOffice, we will automatically pay out your authors and affiliates, send them the necessary tax forms at the end of the year, and take care of all the reporting. After creating an account, you can easily submit a support ticket from the admin area. Alternatively, you are always welcome to contact us through our help form if you have any questions prior to creating your first course.